The Kohl Center gets new lighting — with a high tech twist. 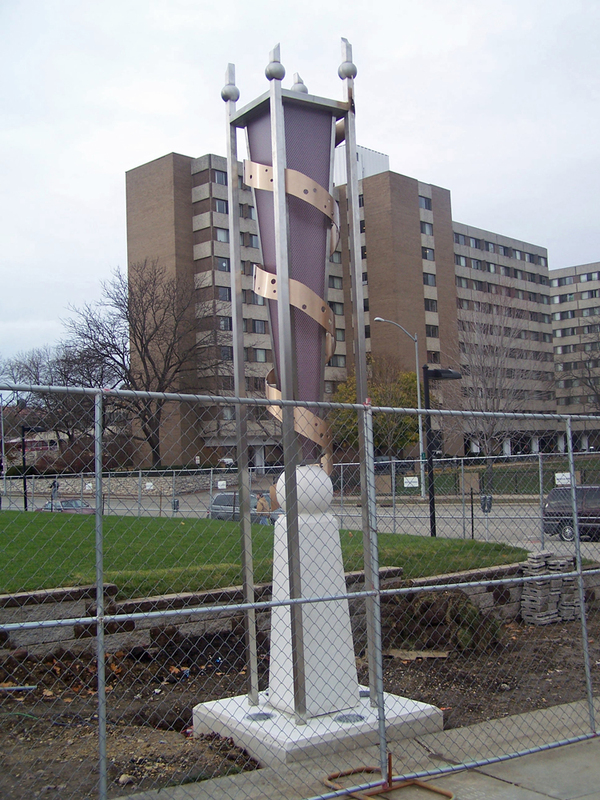 UW Madison faculty member Steve Feren helped design the new lights, twelve separate lighted sculptures. "The actual lighting will be very active, very colorful and animated," says Feren. "It will fit in with the sort of celebratory activity that goes on at the the Kohl Center." 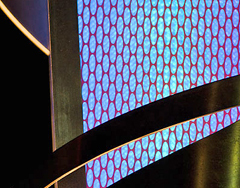 Each of the sculptures contains two hundred energy-efficient LED lights, computer controlled and capable of generating millions of color variations. And the sculptures themselves are all a monumental 17 feet tall. "It&apos;s quite striking, especially at night," says Feren. "Lighting tends to &apos;grow" sculpture, so it looks bigger." Faculty member Gail Simpson also worked on designing the sculptures, which are being installed on the promenade in front of the Kohl Center. The installation is privately funded by Senator Herb Kohl, whose earlier gift in the late 1990s led to the construction of the Kohl Center.